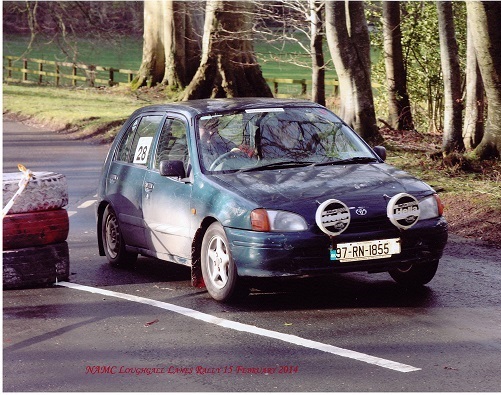 Endurance Trial: Takes place on Saturday 11th October starting from Garahy's Garage, Fortal, Birr. Entries are now open. H.Q again will be Garahy's Garage, Fortal, Birr which has plenty of safe secure parking for Vans, Cars & Trailers. Scrutiny is 9.30am to 11.00am. 20 Selectives are planned and all Selectives are straight forward and smooth. Road distances between selectives are short and the Tea Break will be held in Cloughjordan where David Percy will have his garage open to accomodate any crew looking for running repairs along with our mobile mechanic Niall Driver. The last 6 Tests will be run in Darkness. Finish time will be 20.45 approx. Marshalls are needed and anybody that can assist are asked to contact Mick Boland(087) 2688054. Further info from Clerk of the Course Eoin Longworth 086 8179297. 15 Points for COC/Deputy COC. 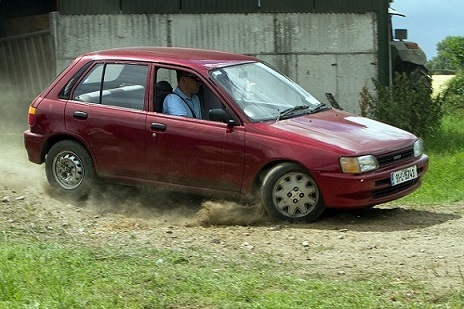 20 Points for 1st Club Member in the Overall Results. 5 Points for a Non Finish. All Members are asked to check points particularly those who have marshaled to ensure points are allocated correctly. All NON Club Events in the Championship are events that the Club Assist with. Queries to Registrar Eoin Longworth 086 8179297. The Birr & District Motor Club's 46th Annual Tom O'Reilly Memorial Car Treasure Hunt was an outstanding success with 69 Crews taking part. The Car Treasure Hunt is part of the Annual Birr Vintage Week Festival. This years route started in Dooly's Hotel Birr and moved on through The Miletree, Dromoyle, Ballygaddy, Aghancon, Clareen and finished near Fortal. Clues were varied and some were demanding and hard to find. The Overall Winner was Ruth Haslam from Birr on 770 Marks with runner up Sarah King on 735 Marks with Michael Loughnane from Birr finishing in 3rd spot on 730 Marks. The Birr & District Motor Club would like to thank all those who participated, The Residents along the route for there patience & understanding, Dooly's Hotel Birr for there excellent hospitality, Birr Vintage Week Committee along with the organisers Eoin Longworth, Ger Brophy, Pat Corcoran & Mick Boland who laid on a very enjoyable evenings fun. Birr & District MC MVAT was ran 27th July 2014 from the Creggan Court Hotel, Athlone. Thanks to all who took part and also thanks to everyone who helped in any way. Note to all Competition Licence Holders. 2014 Licence Renewal Forms WILL NOT be posted out this year by Motorsport Ireland but are now available on the Motorsport Ireland Website. Link to Licence forms (First Time & Renewal) and Irds Applications. Birr & District Motor Club held a fundraiser for the North Tipperary, Offaly & Laois Alzheimer Societys along with Barrettstown Castle Kildare and St Fintans Hospital Portlaoise.